Price is for 1 set of 3. 1 set in stock ready to ship! Discount for set of 3. 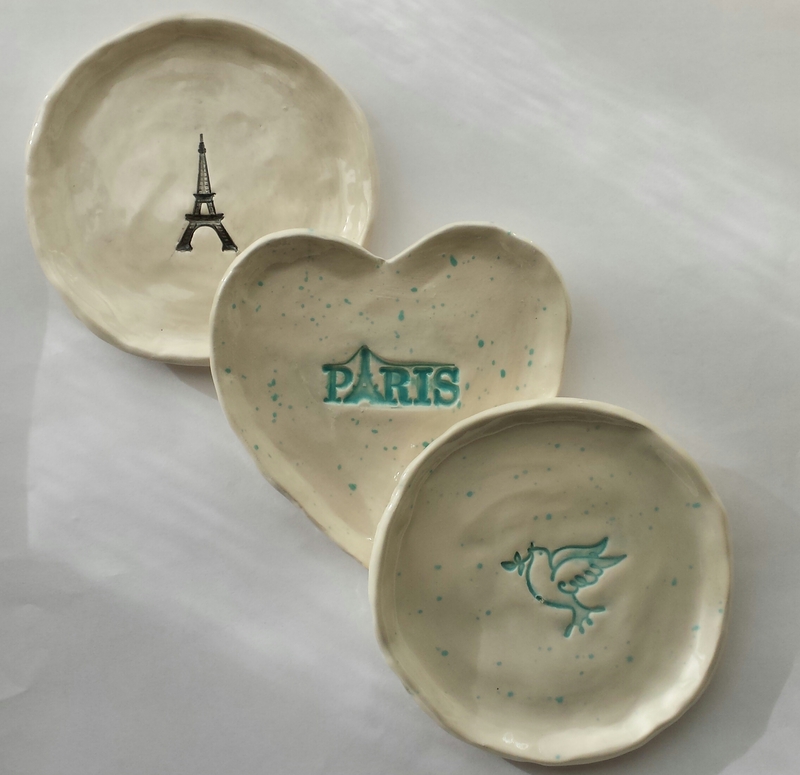 Paris themed dishes trinket dishes, Bird ceramic trinket dish, wedding favor, perfect for a rings and things, as tea bag holder, soap dish, even candy and great little gift. Dish measures 4 1/2 " X 4 1/2 "
I make these by hand, roll out the clay, form the dish, and great the design with a stamp. Let dry and clean, the fire to bisque in the kiln for 12 hrs. The glaze with color, and fire again for the pretty high gloss finish. Available in your favorite color too from the drop down window, or convo me for a color chart.